George Eliot, English novelist, 19th century. 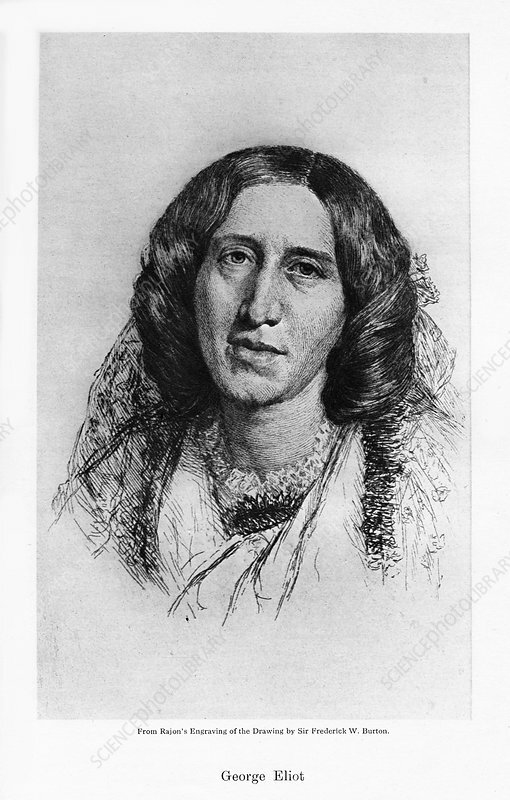 Portrait of Mary Ann Evans (1819-1880) whose pseudonym was George Eliot. Artist: Frederic William Burton.